I'm going to let the pictures tell the story of Max's new look: To say he is excited about it would be a SERIOUS understatement. I gotta admit, although I liked the silver smile for 2 1/2 years, I sure like that new white one. In case you're wondering, yes, we do have two orthodontists (Elle goes to the one I talked about here). And their offices are on different edges of the world it seems. But we adore them both so much! Such a great smile! I get my braces off in a few weeks (I'm 28) and can only imagine how excited he is!! So my husband is graduating from his orthodontics residency in a few months and starting his own practice. So I'm totally curious why you've got your kdis at 2 different places - cost, who you know, etc. . . Just wondering what kinda things a mom/parents look for in an office. You've got a darling family and I've recently been reading your blog! You know, I found your blog quite by accident a few days ago, and I love it! Your family is adorable, and your pictures are amazing! I have this secret dream to take great pictures, but sadly, I am convinced that it'll never be my spiritual gift! And we're just about to embark on a life of getting to know our orthodontist really well...and buying him a vacation home on the beach, for all the hard-earned American dollars we'll probably be throwing his way! 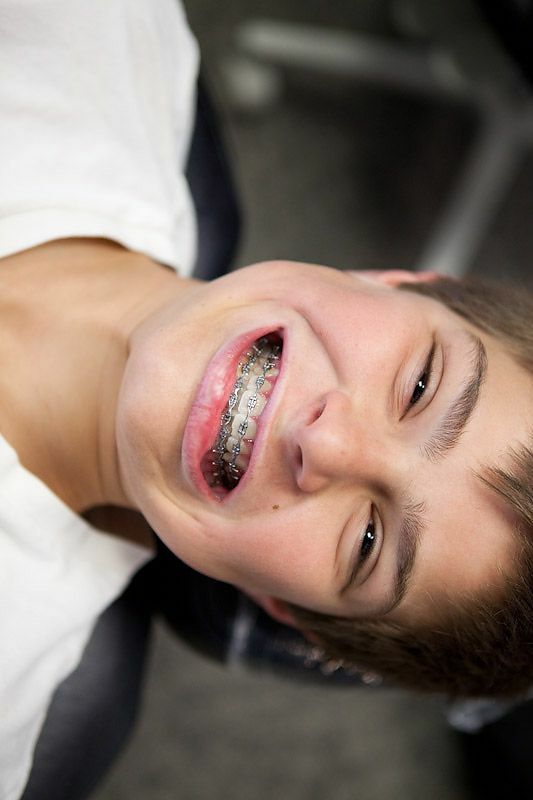 Look out, Braces! We're going down that road in a couple more months! He is such a cutie! You better a leash for him now! 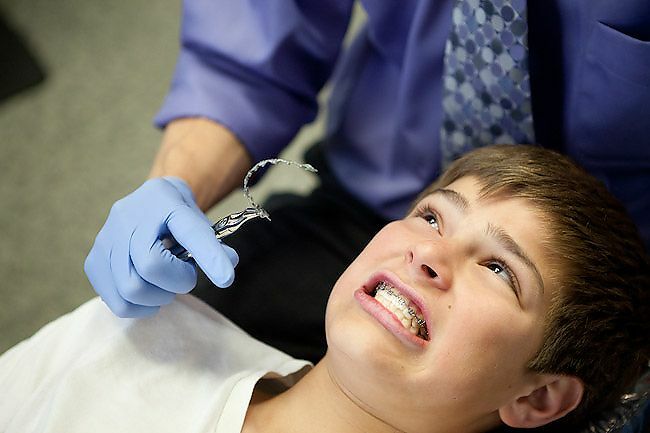 We've only done braces with one of children so far, but the other ones are still young yet. Still plenty of time for us to put the orthodontist children through college and buy him that new Mercedes. 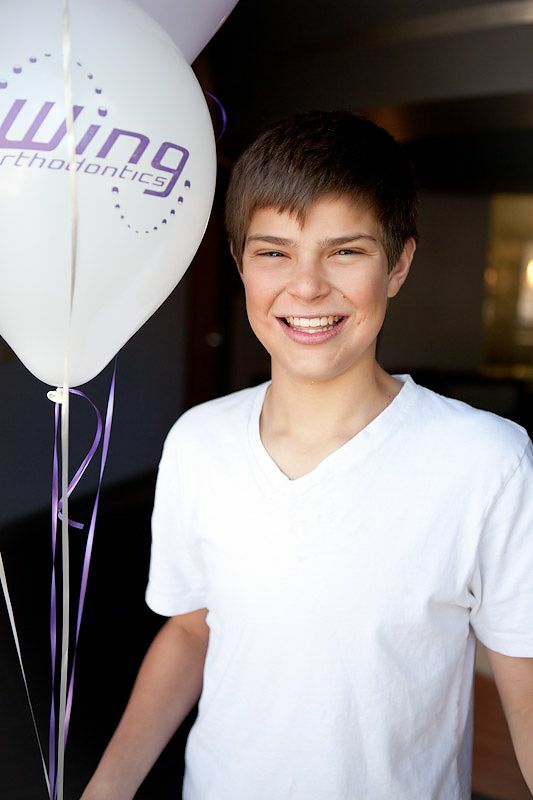 The funny thing about the photos is that Max is too tall for the ortho chair, his feet hang over the edge. 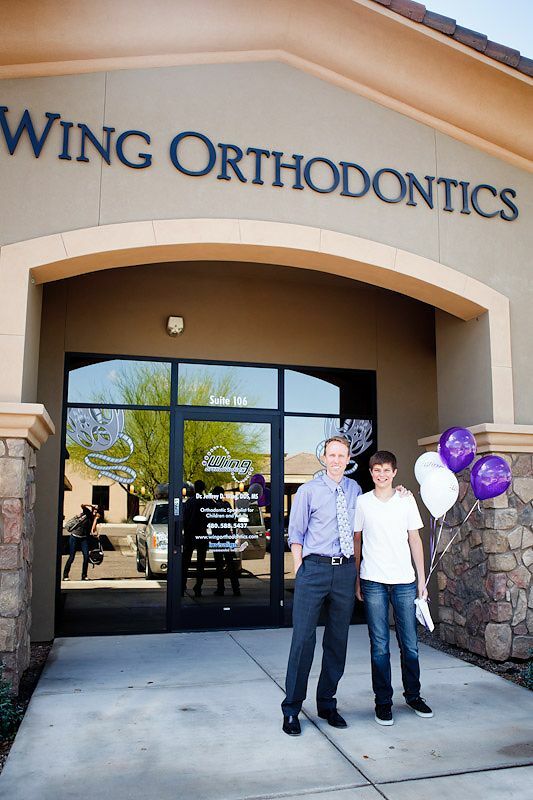 What is even more funny than that is that the orthodontist is taller than Max. How do some people just luck out in the dept? I just know I was meant to be tall, but someone forgot to add that gene along the way. Such a handsome young man...He is adorable and seems like such a good boy! Bravo on raising such a good young man!! Congrats on surviving Max! 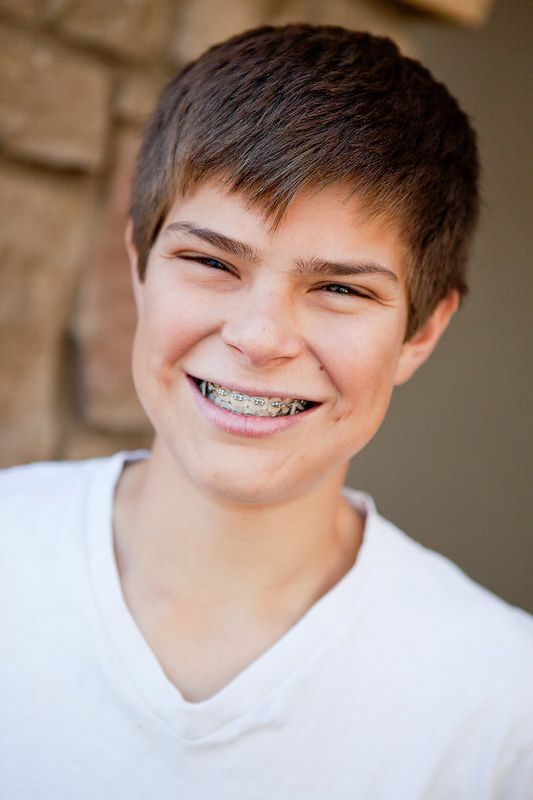 I'm sure ALL the Eyre children who survived braces (all but Eli...Tal for about five years) send their congrats too. You look splendorous!